It’s a festive, communal atmosphere in the Atlanta airport right. 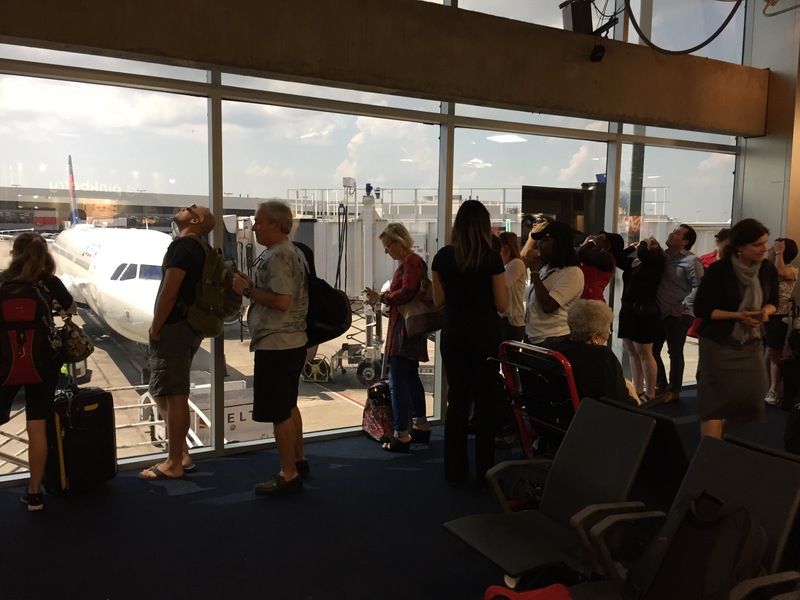 Rather than the normal mass of hurrying, grim-faced travelers, friendly people are crowding the windows, passing eclipse sunglasses back and forth, and craning their necks to see an eclipse that is supposed to be 97 percent of totality. Outside it’s like twilight. It’s easily the most amiable, neighborly feeling I’ve ever experienced in an American airport. Too bad it only occurs during eclipses!